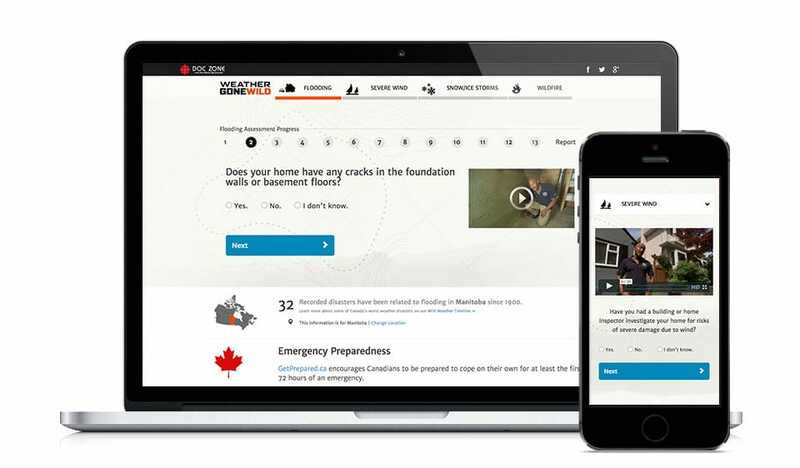 The CBC’s Doc Zone and Dreamfilm Productions needed an engaging web app for their documentary Weather Gone Wild. 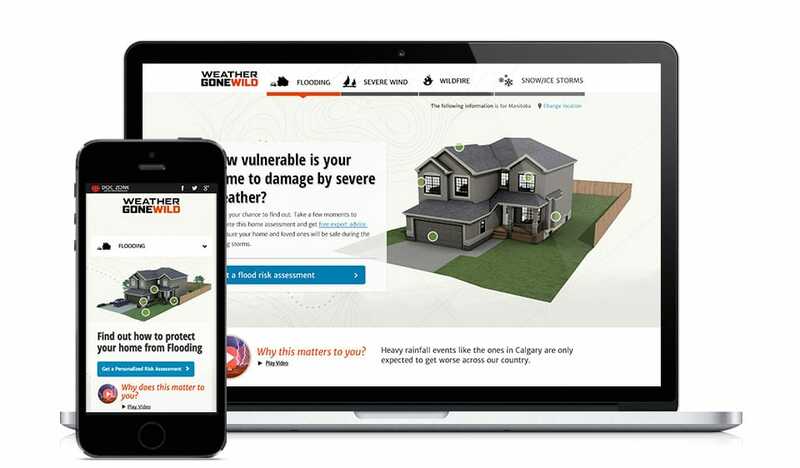 The app needed to help Canadian home owners prepare for the ever increasing risk extreme weather events. 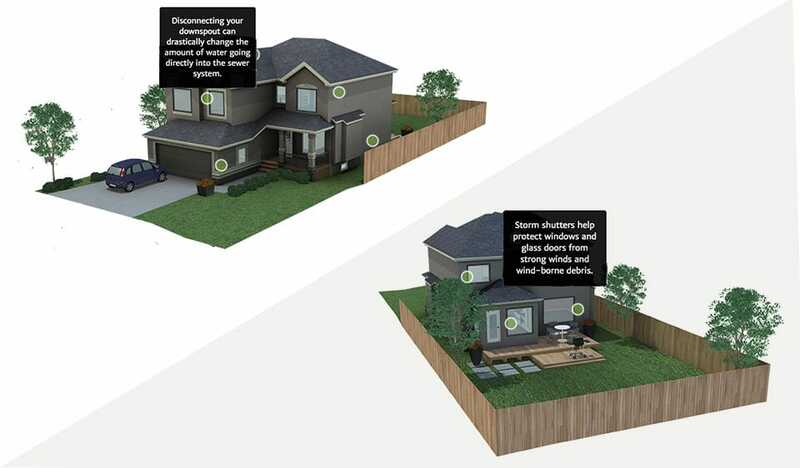 Tactica created a personal diagnostic tool (mobile web app) allowing users to identify their risks and prepare their home for extreme weather including: flooding, snow & ice storms, wildfires, and severe wind. 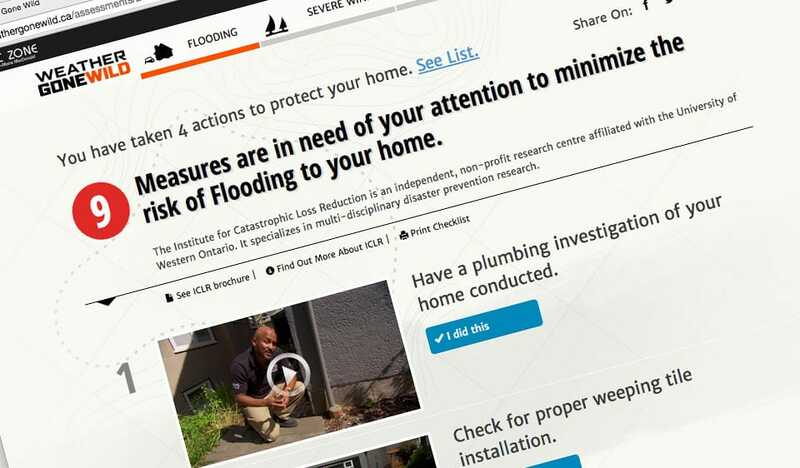 We collaborated closely with Dreamfilm Production to provide extensive video content and the Institute for Catastrophic Loss Reduction (ICLR) to provide weather data. access videos and resources that walk them through prevention process. The app concept Tactica presented resonated with CBC and the producer, and we quickly received broadcaster support and digital media development and production funding from Bell Media. The project also received support from the Manitoba Interactive Digital Media Tax Credit. During the Doc Zone premiere CBC was so confident in the app’s quality that they featured it prominently on their website’s home page, resulting in a flood of traffic to the app. 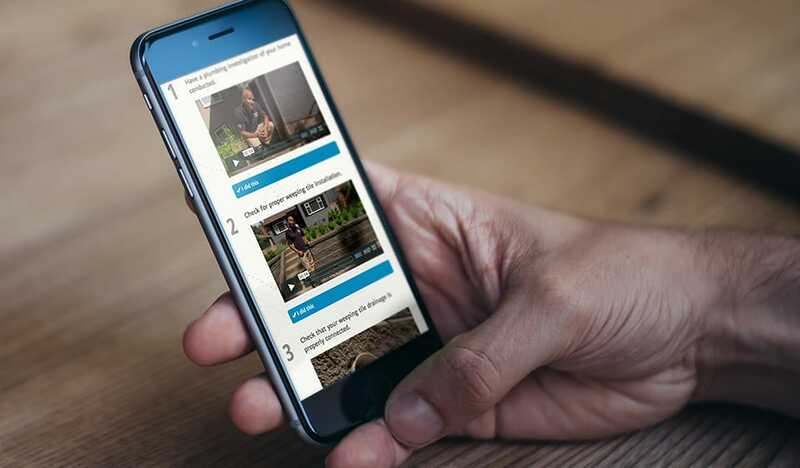 The wide appeal of the app proves to engage people beyond the documentary’s audience delivering long lasting digital media legacy content for CBC, Doc Zone the documentary. CBC is Canada’s national public radio and television broadcaster. Dreamfilm is a Gemini Award-winning documentary production company based in Vancouver, BC.